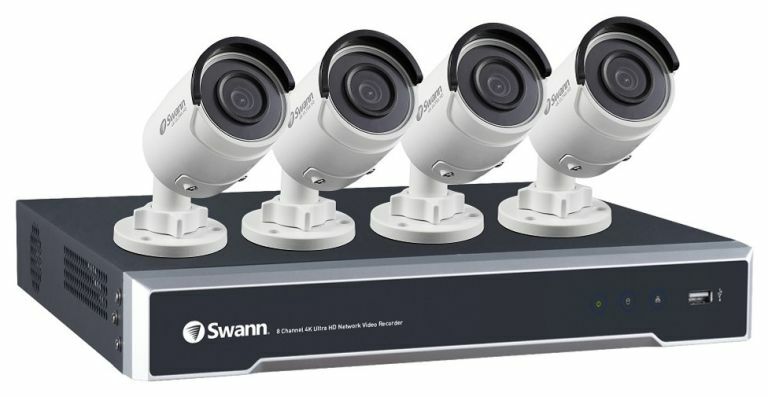 Australian security and monitoring specialist Swann has just launched a handful of exciting new products that will help you turn your home or business into a veritable fortress. First there's the first ever DIY 4K Ultra High Definition security system (pictured at the top of today's Agenda - so you can build your very own custom monitoring system with an astonishing 4K resolution. The NVR8-8000 system includes four IP66 weatherproof, Ultra High Definition 4K cameras and an eight-channel Network Video Recorder (NVR). Designed to defend homes and businesses day and night, the four UHD 4K aluminium bullet cameras have a night vision distance of up to 30m (100ft). Then there's the completely wireless, smart security camera (pictured above), with in-built storage, 1080p full HD resolution, wide 120-degree viewing angle, infrared night vision and the ability to capture crystal clear footage indoors and out, during the day and at night. Selle Royal has produced four new saddles to add to its LookIN collection with designs for Relaxed, Moderate and Athletic riders, so you can start the year with a fashionable addition to your bike. The new collection features finer materials and comes in both male and female versions. The designs have a completely reworked shape and 3D ‘Skingel’ that's able to absorb shocks 40% better than other gels. It's also positioned strategically on the areas needed for maximum rider comfort. Each of the new saddles will be priced at €64.90 (£56) each and will be available from mid-January from most Selle Royal retails. Sony has confirmed three of its most popular kids TV channels are coming to YouView with a new catch-up service. POP, Tiny Pop and KIX already have a big following in the UK and with this new addition, YouView-enabled devices will be able to access content on demand. That's right - now your kids will be watching Power Rangers Super Mega Force every minute of the day. The Sony Kids collection is live now and comes with a seven-day-long catch-up setup for all your kids TV needs.